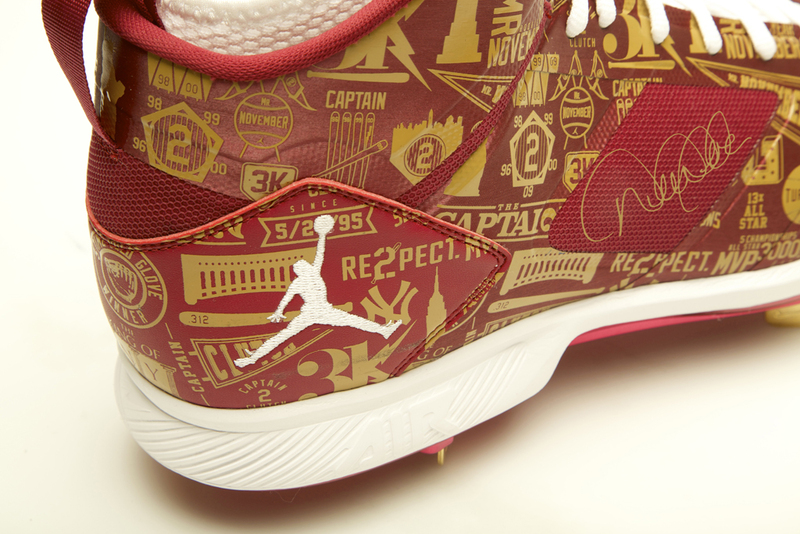 In celebration of 'The Captain's' final season, Steiner Sports is auctioning of two exclusive Jordan Brand PE cleats. 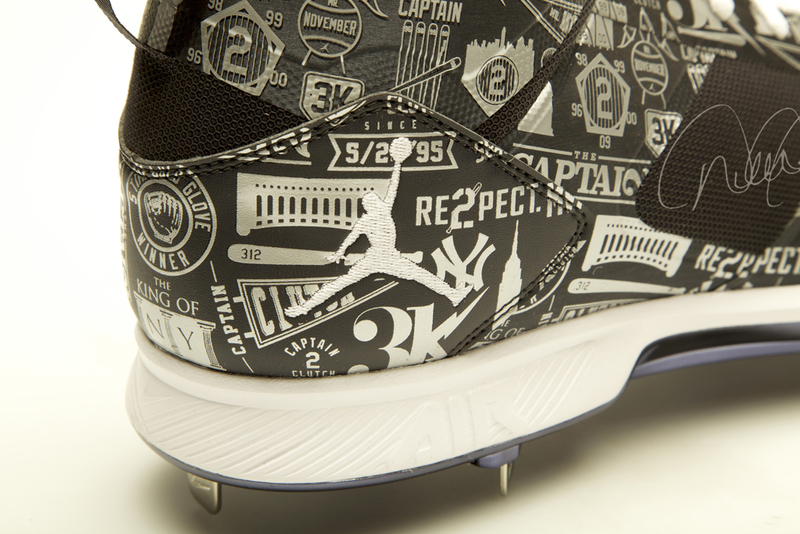 In celebration of Derek Jeter's final season, Steiner Sports is auctioning of two exclusive Jordan Brand PE cleats. 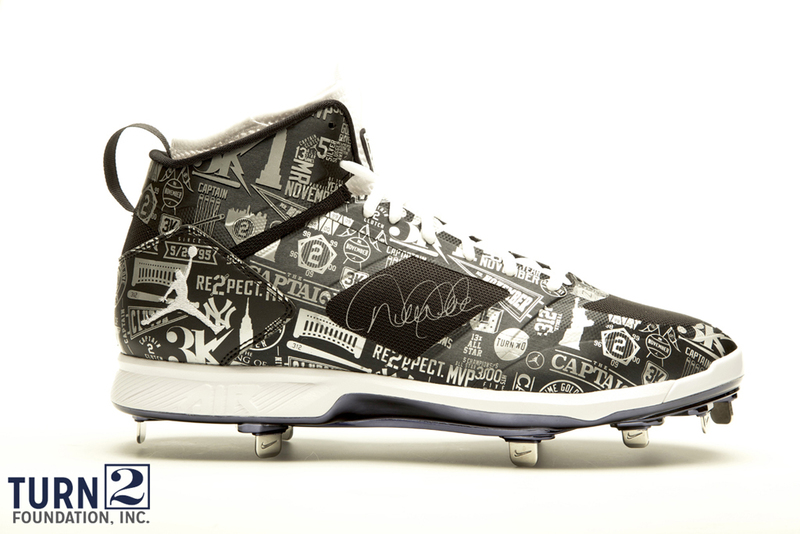 A part of the 'Derek Jeter Farewell' Auction, Derek Jeter’s Turn 2 Foundation has partnered with Steiner Sports to auction off two pairs of special edition Jordan Brand autographed cleats, made exclusively for Jeter. 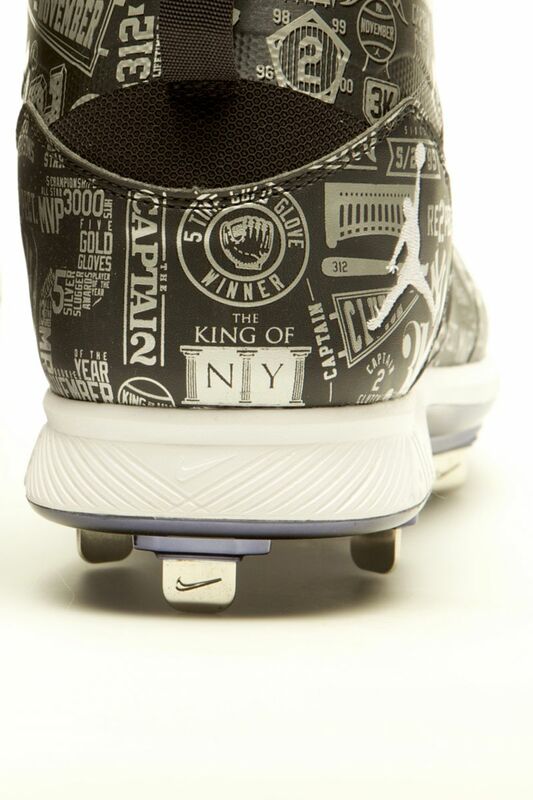 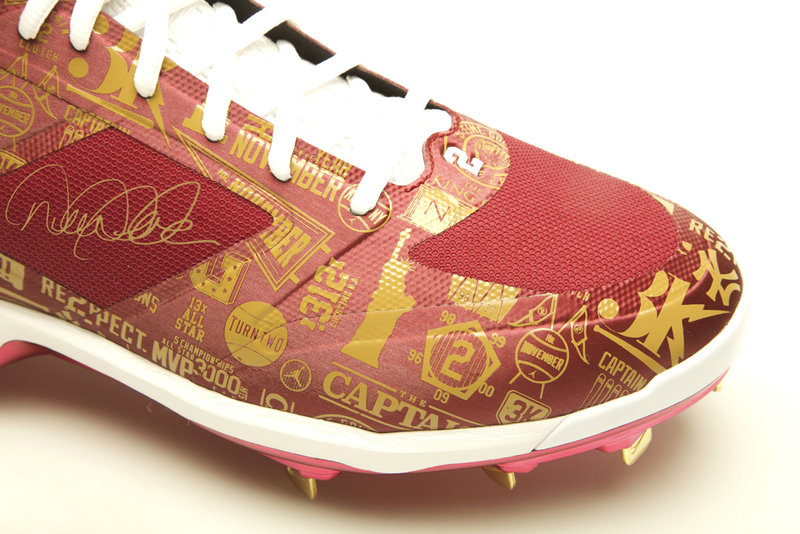 Two colorways of the Jordan Jeter Lux 2.0 Cleat, one in his high school alma mater's Kalamazoo team colors maroon/gold, and the other in the New York Yankees team colors pitch blue/silver. 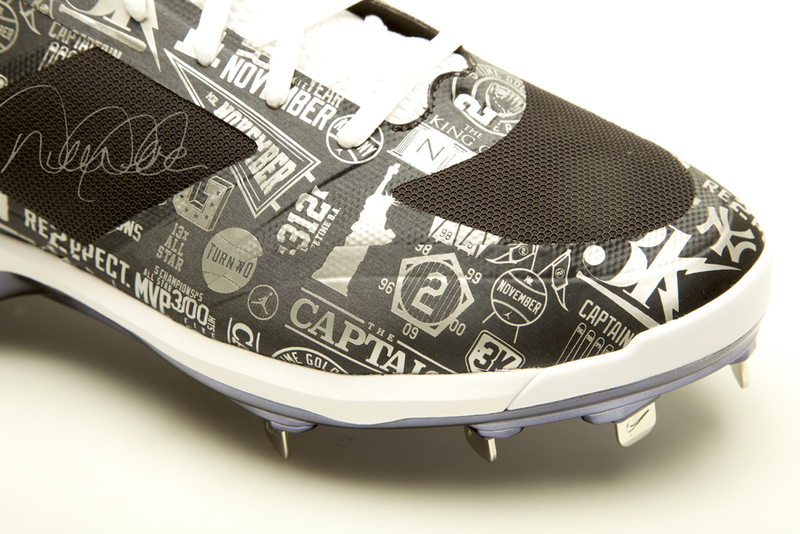 Both pairs are un-worn and autographed, with the 'Kalamazoo' pair being a 1-of-1. 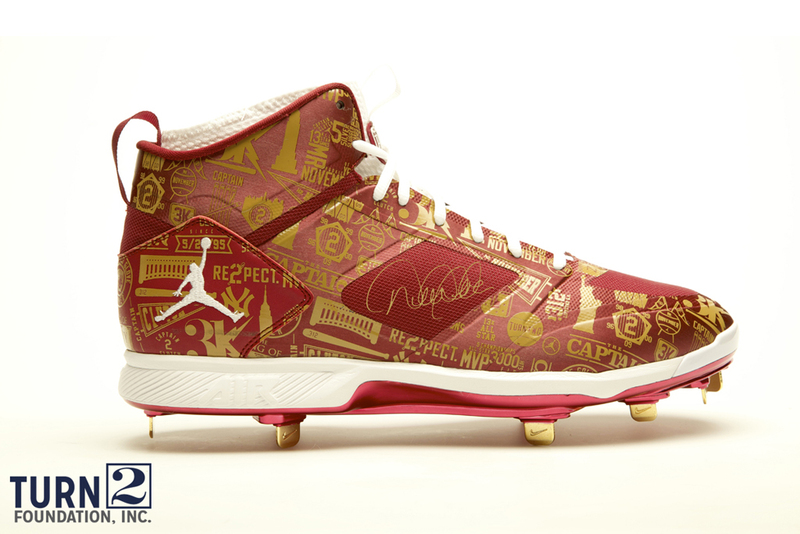 This also marks the first time these exclusive cleats will be available to the public, with proceeds benefiting the Turn 2 Foundation. 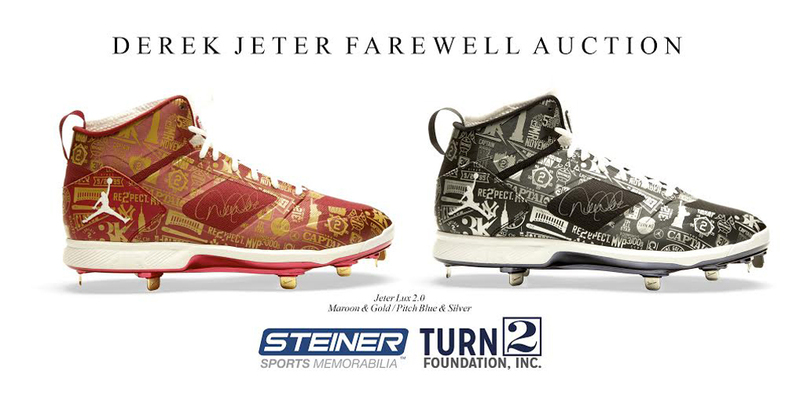 If you're interested in adding either of these pairs to your collection, visit the auctions now at auction.steinersports.com and place your bids now. 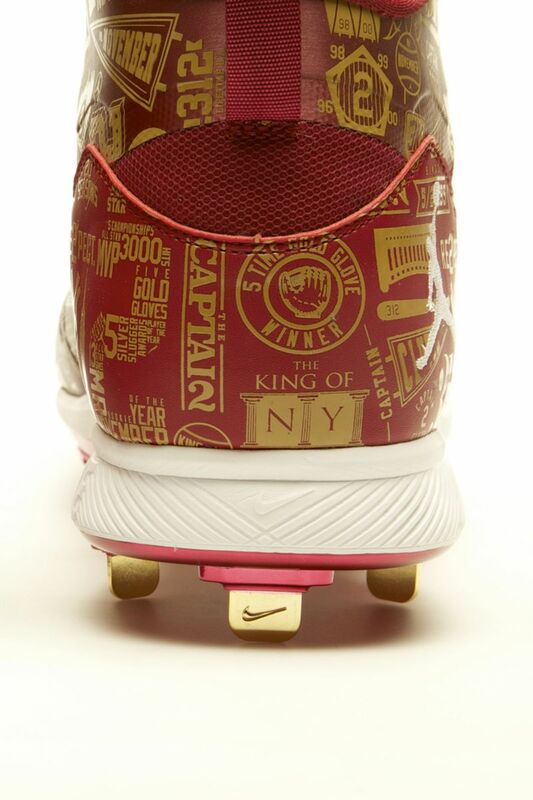 Auctions end on Sunday, October 19.